This entry was posted in Addiction Treatment, Alcohol Addiction and tagged alcohol treatment for family members, alcohol treatment for family members in California, California alcohol treatment, family alcohol treatment, family member alcohol treatment on July 30, 2017 by ohr_guest. 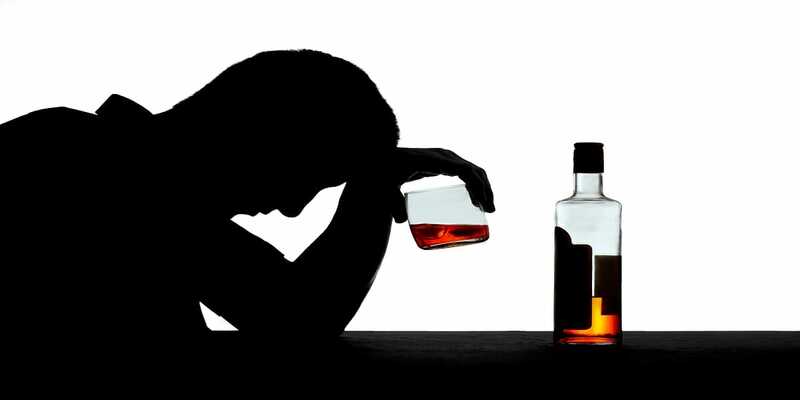 When a person is addicted to alcohol, he or she has a disease, and that disease not only affects the individual, but it affects the entire family. The addiction can lead to severe tension for all members of the family, and cause miscommunication and frequent arguments between family members. In severe cases, it can lead to verbal, mental, emotional and even physical abuse. It heightens stress levels for all and can disturb the entire dynamic of the family, causing lasting results for children, parents, siblings and anyone else who is a part of the alcoholic’s life. Often, the family members of an individual who is addicted to alcohol start to distrust, resent, hate and even fear their loved one. Whether a parent, a child, a sibling a grandparent or any other member of your family is battling alcoholism, alcohol treatment for family members in California can provide you with the help that you need to get your loved one to overcome their addiction and rebuild your family. At Ocean Hills Recovery, our comprehensive rehabilitation program offers professional alcohol treatment for family members in California. We understand the challenges that alcoholics face, as well as the challenges their families face. That is why we not only provide treatment for those who are battling alcoholism, but for their family members, as well. Since alcoholism affects the entire family, it is vital for the entire family to be involved in treatment, not just the person who is battling the addiction. It is not only crucial for the addict, as it allows him or her to receive the support that is needed to overcome alcoholism, but it is also helps every member of the family gain a better understanding of alcoholism; it allows the entire family to learn how to cope with their loved one’s addiction so that they can heal and move forward. The support of the family plays a huge role in addiction recovery. Because recovery is an ongoing journey and requires an ongoing commitment, your family member isn’t going to come home from rehab and be cured of his or her alcohol addiction. Sobriety is something that he or she will have to deal with on a daily basis, and the family can help keep the individual focuses on long-term recovery. Additionally, it is also important for family members to gain an understanding of addiction and how it affects their loved one. When the family of an alcoholic has more insight and understanding of alcoholism, they themselves will be more capable of healing, and in turn will be able to help their loved one heal. Removing the stigma that leads many alcoholics to refuse seeking treatment for fear that they will be judged. Family members can gain better insight into what caused their loved one to become addicted to alcohol. In most cases, there are many reasons why someone becomes addicted to alcohol, and often, those reasons are related to other mental, emotional or physical problems that could be eased with the help of the family. The family will learn how to process the actions of their loved one who is addicted to alcohol and prevent their own actions that enable the addiction. Family members will gain better insight regarding realistic expectations for their loved one, which can help to prevent disappointment for themselves and their loved one. When members of the family are involved in alcohol treatment, they can learn how to identify triggers that could cause relapse and help their loved one stay sober. The family can learn how to handle their own emotions and attitudes toward their addicted loved one so that they can rebuild their own lives. The family will grow stronger together and have a better opportunity to rebuild their relationships and the entire dynamic of their family unit. Alcohol treatment for family members in California will work to accomplish the above-mentioned benefits by focusing on the strengths of the family while reducing the influence of alcohol abuse, not only for the individual who is addicted to alcohol, but for the entire family. Treatment centers offer various ways to integrate the family in alcohol treatment. Options can include family counseling sessions, family visitations and family outings. At Ocean Hills Recovery, we will help you determine the best and most effective treatment for your loved one and your entire family. Our therapists, counselors and every other professional who is involved in our treatment program fully understands the important role that family plays in treating alcohol addiction. We are committed to not only healing your loved one who is battling alcoholism, but we are committed to healing the entire family. Please contact us to learn more about alcohol treatment for family members in California. We would be honored to assist your loved one and you on the road to recovery.